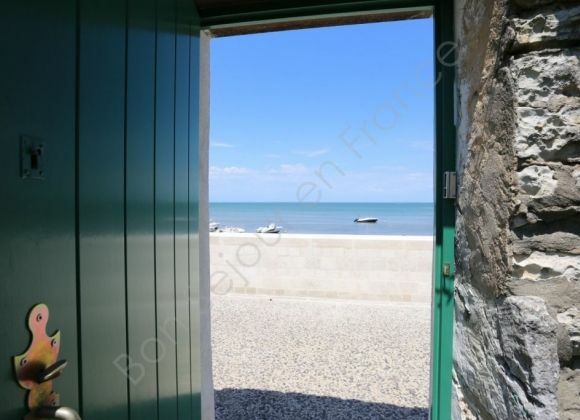 Open the little gate at the back of the garden and you're at the beach ! 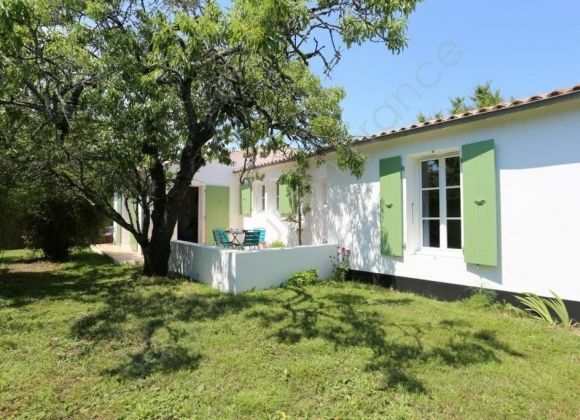 Between earth and ocean, this charming house was completely renovated in 2016. 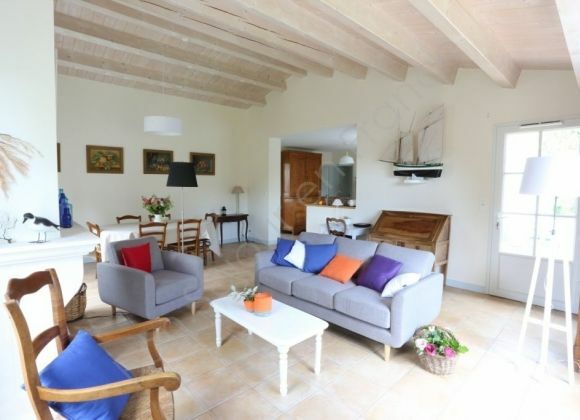 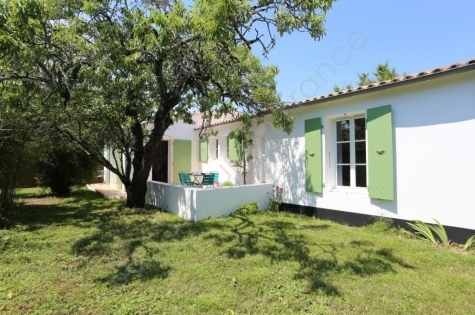 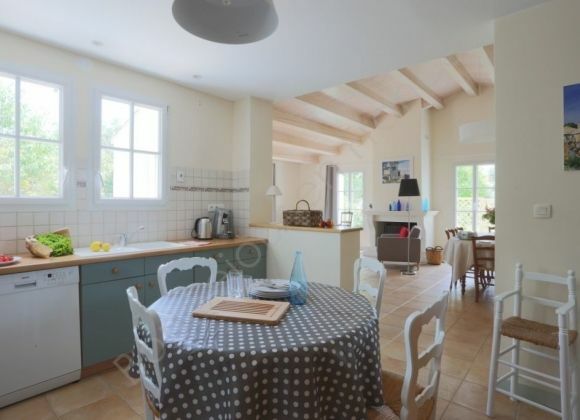 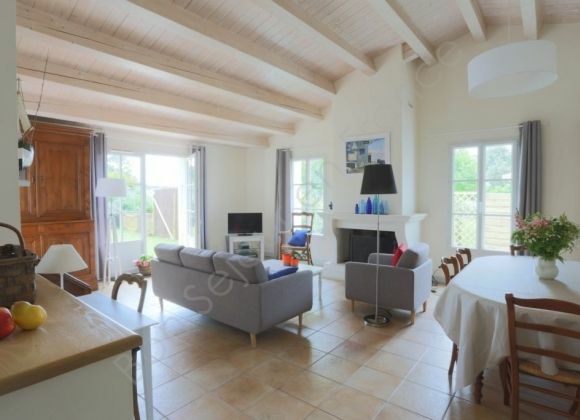 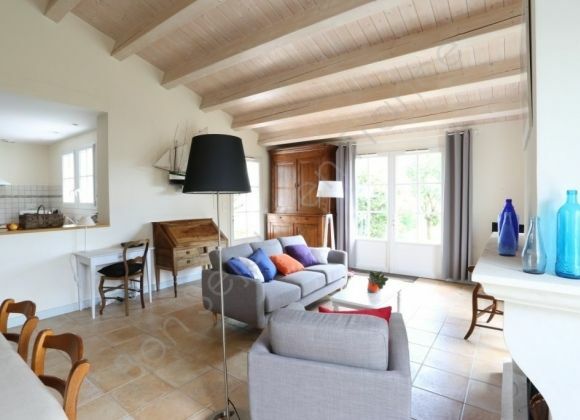 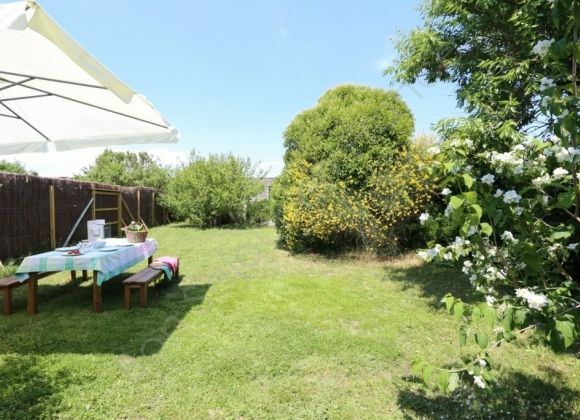 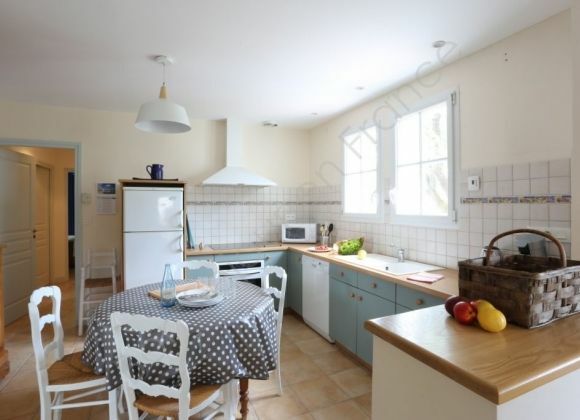 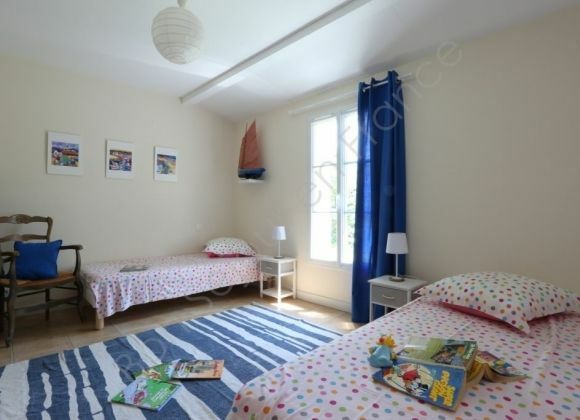 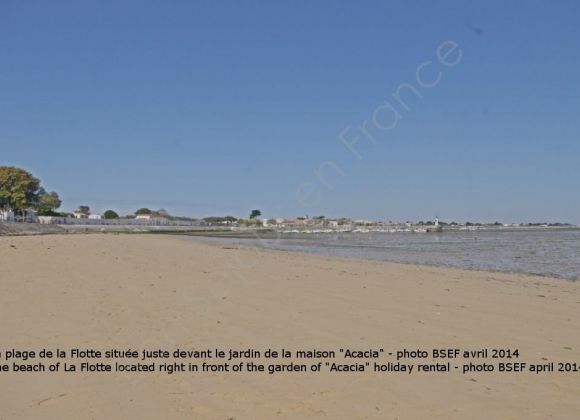 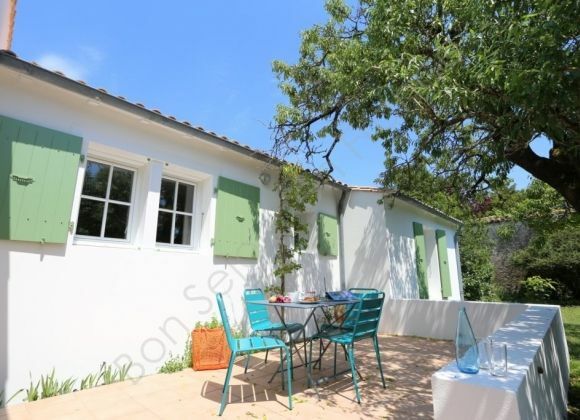 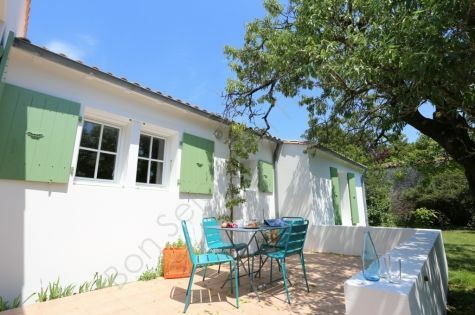 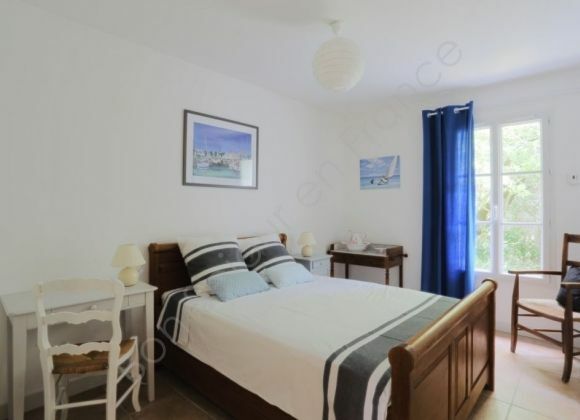 Ideally located on the beach, 100 metres away from the port and the picturesque la Flotte market, this peaceful holiday home, in the middle of a large tree-filled and flowery garden, invites you to a relaxing stay. 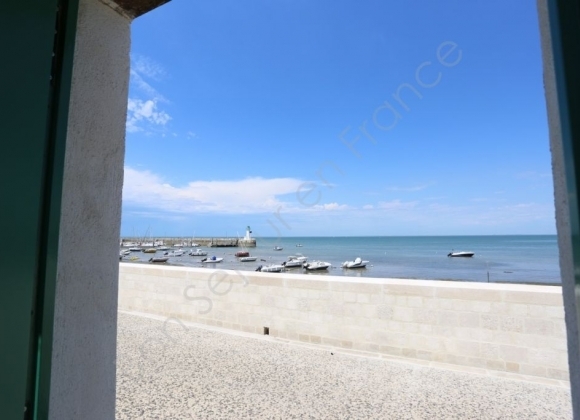 Forget your car on the private car park and discover all of Ile de Ré's secret, on foot or by bike. 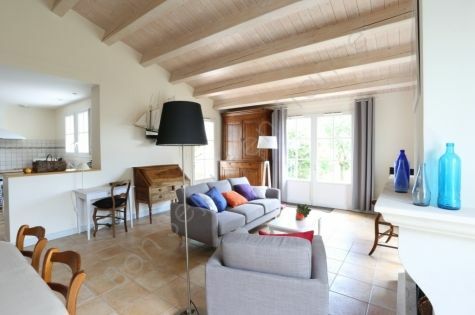 Open-plan kitchen giving onto the living room with fireplace & dining area Utility room. 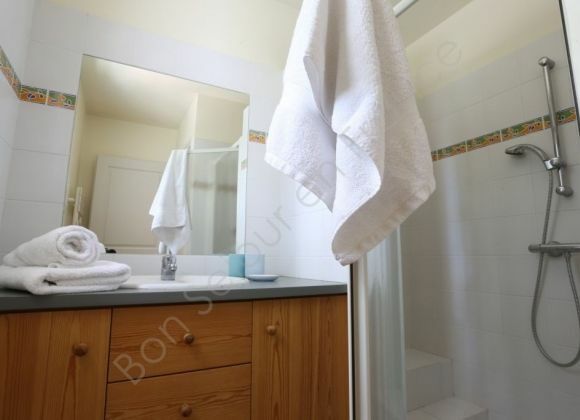 Double bedroom Twin bedroom Shower room Separate toilet. 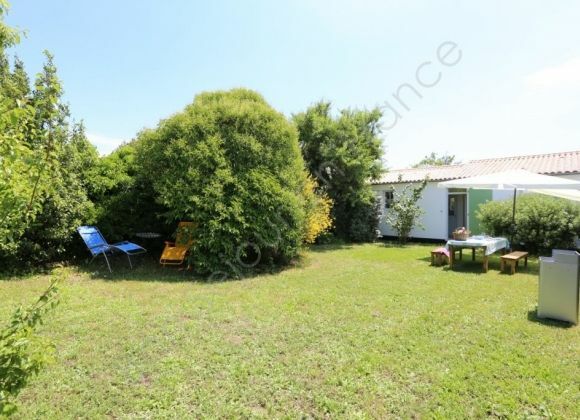 At the back of the garden, you can open a little gate to go directly to the beach, just in front of the property.